When Don Lenzer and Bettina Volz started looking around for a builder in the New York area, they quickly realized that they couldn’t meet their budget requirements with conventional construction. The owners’ design firm, Stelle Architects, found Arizona-based ASUL (Adaptable System for Universal Living), who collaborated with the designer to provide an alternative construction methodology with a budget of $200 per square foot. This is the Lenzer/Volz residence in Amagansett, New York. 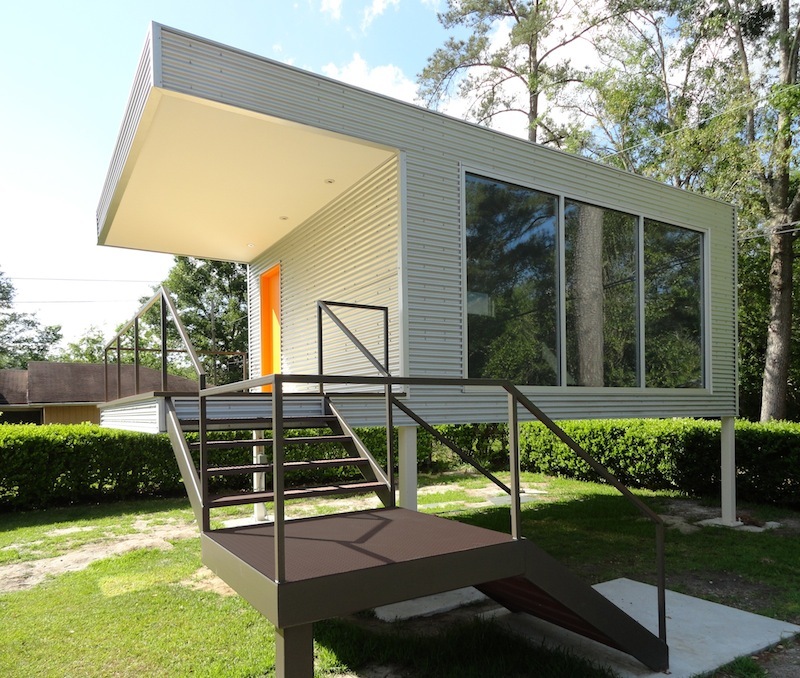 This is a prefab design by Phoenix-based ASUL — which stands for adaptable system for universal living — and CSCP Consult in Savannah, Georgia. The tiny accessory dwelling unit has a 16′ x 20′ interior and is used by CSCP Consult as a “Think Tank,” or office, library, and study. The ADU, as shown below, is adjacent to a restored mid-century modern home and rests on 6-foot stilts to comply with FEMA flood zone requirements. 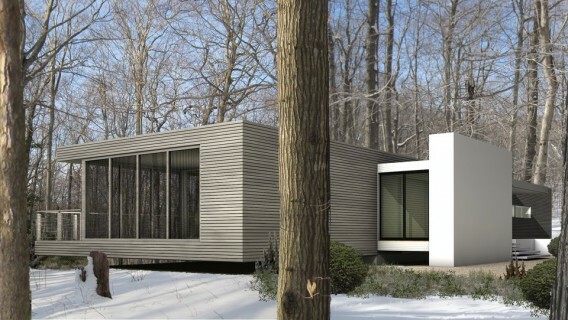 Before joining forces with Shepley Bulfinch, Merz Project, architect of the Galleries at Turney, had a small paragraph of information on their website about “asul” prefabs planned for “Prescott Community.” While I never was able to learn any thing new about the endeavor, it turns out that ASUL will debut at Dwell on Design this week.